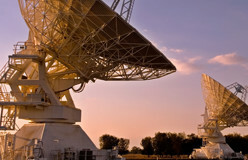 Observing distant galaxies is a hard task. One of the biggest problems is something you normally can’t see: the air. 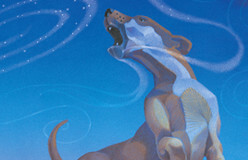 Particles in the air can pull in and scatter starlight. 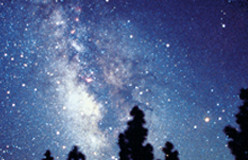 Light from cities below is reflected and washes out dim objects such as faint stars. 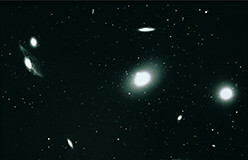 Astronomical images are blurred because the air is in motion. Sometimes clouds totally block our view! The atmosphere gets in the way in many ways. Many telescopes are located on mountaintops. Up there, the air is thinner and clearer. City lights are far away. Choosing a good site for a telescope is key to getting clear observations. Astronauts and cosmonauts of the 1960s were the first to travel beyond the atmosphere and get a clear view. In 1990, the Hubble Space Telescope went into orbit. Many other telescopes have been launched since then. 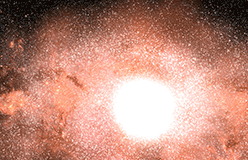 X-ray and gamma-ray telescopes study the hottest and most explosive objects in space. 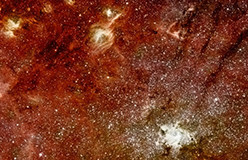 Infrared telescopes study the areas where stars are born. 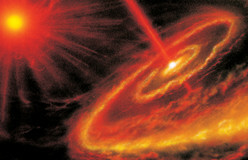 Ultraviolet telescopes study very hot stars. How far will these telescopes see? What will they find?